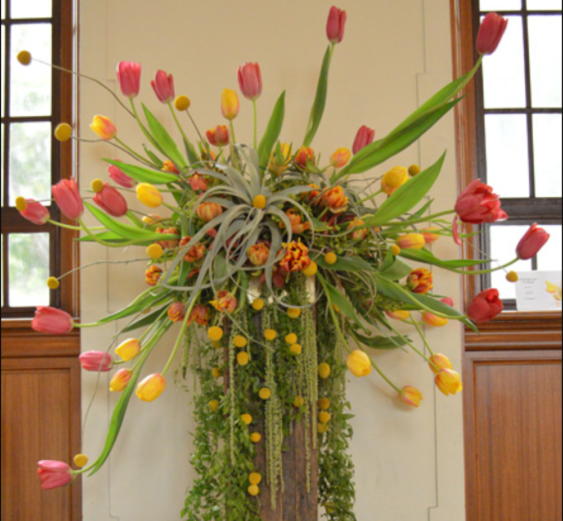 The 14th Annual Tulip Exhibition will showcase spectacular floral arrangements that feature tulips, created by Bay Area florists, garden clubs and college floral design classes at the Mountain View Cemetery. Visit anytime between 10 am and 4 pm from Friday through Sunday, March 22 – 24, 2019. Each day at 2 pm, you’re invited to enjoy a special floral arrangement demonstration. Admission to the cemetery and the exhibition are free; no reservations or tickets are required. Simply stop by and appreciate the beautiful artistry created by local enthusiasts and professionals.